It is the glory of God to conceal a thing: but the honor of kings is to search out such a matter. 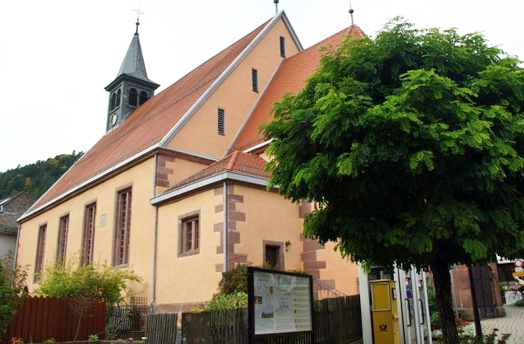 In the small village church at Bad Teinach in southwestern Germany is an elaborately complex, Baroque-style triptych, that is virtually unknown to the English speaking world. 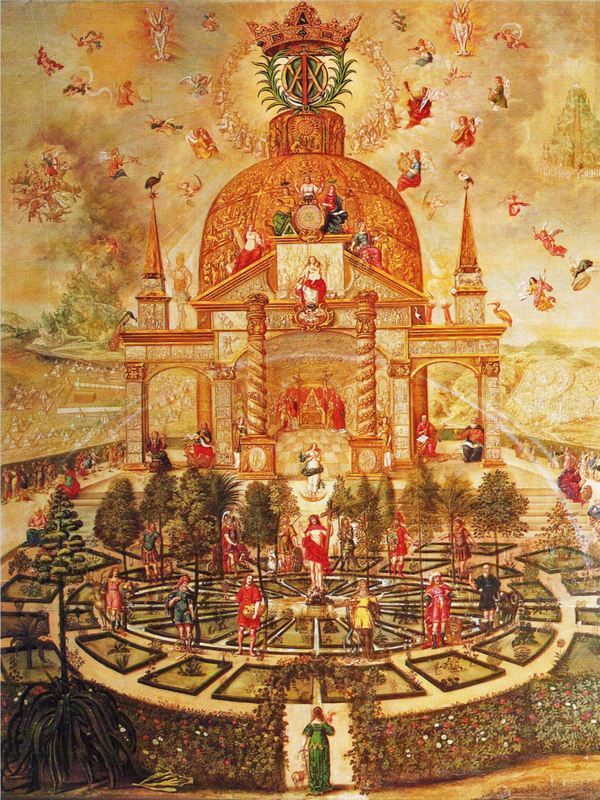 In German, the title of this painting is "Die Kabbalistische Lehrtafel der Prinzessin Antonia zu Württemberg" which may be translated into English as "The Kabbalistic Teaching Painting of Princess Antonia of Württemberg." The painting was designed by several eminent, 17th century, Christian Kabbalists, who were probably also Freemasons and Rosicrucians as well. This teaching painting, or "Lehrtafel" as it is known in German, has been the subject of several books and articles by German scholars but almost nothing is available in the English language. The purpose of this website is to bring this wonderful painting to the attention of the English speaking peoples by providing an English language description of this highly complex and esoteric work. This triptych may be and has been (but only in German) subjected to in-depth analyses at the esoteric level; however, other than an elementary discussion of Kabbalism, the descriptions provided at this website should be considered only non-esoteric in nature. This site is the result of a joint effort by myself and Mani Gerlach. Mrs. Gerlach, a native of Germany, conducted substantial research among the German language studies of this painting and provided English language translations where appropriate. Bad Teinach is a town in the district of Calw, situated in the Black Forest area of southwest Germany. The town is famous for the large alchemical-kabbalistic triptych that is mounted in a large baroque case near the altar of a small church in the town. I believe this triptych to be a major work of esoteric symbolism; it may even be considered by some people to be an example of "Objective Art" as defined by G. I. Gurdjieff or as “Symbolique Art” as defined by R. A. Schwaller de Lubicz. This is a large work; with the panels closed, it measures approximately six meters high and five meters wide; it dominates the area to the right of the altar of the church. 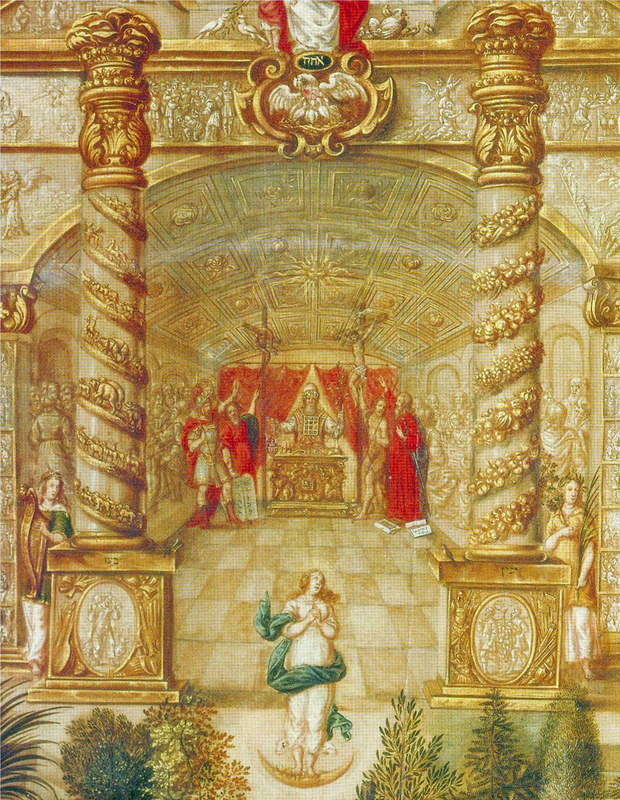 It seems to have been prepared as a “teaching painting” ("Lehrtafel" in German) for the use of Princess Antonia (1613-1679) of the Duchy of Württemberg. She was the daughter of Frederick I, Duke of Württemberg (1557-1608). Frederick had been an alchemist and occultist, who, in 1603, was invested into the Order of the Garter by King James I of England. The Lehrtafel was designed in the 1650s by several friends and academic advisors of Princess Antonia; it was completed in 1663 by the artist, Johann Friedrich Gruber (1620-1681), the court painter at Stuttgart, and was presented to the Princess on her fiftieth birthday. For 10 years (1663-73) the triptych remained in Stuttgart, in the bedroom of the princess as a devotional image. 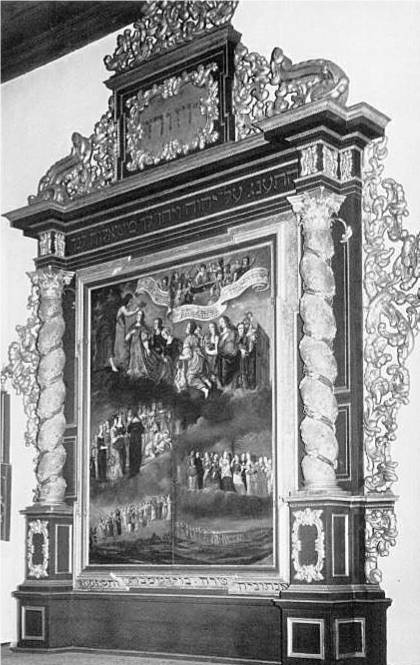 But in 1673, on the sixtieth birthday of Princess Antonia, the triptych was installed at the church in Bad Teinach, the town where the ducal family used to take their summer holidays. Antonia's brother, Duke Eberhard III (1614-1674), had established the church as a private family chapel. A “Lehrtafel” should be a work of art which attracts attention, but which is dedicated to providing instruction to the spectator. Thoughts and relationships are combined in a such a way that they present a challenge to the observer to understand its content. The Lehrtafel provides explanations within an appropriate historical milieu. It avoids the moralization that often accompanies verbal presentations. The knowledge it communicates should provide thoughts, events and relationships in a pictorial manner without unwanted intrusiveness. As the French philosopher Montaigne once recommended, pupils should be shown things in a way that they can understand and enjoy; teachers should point the way but the pupils travel along the path by themselves. A well designed and executed Lehrtafel should provide pleasure to the viewer even though the message it communicates is serious and difficult to understand. It should stimulate interest even among those who are initially indifferent. Most importantly, the Lehrtafel should be able to communicate knowledge at several different levels in accordance with the levels at which the observers are capable of understanding. Simply stated, the Lehrtafel should work; it should be able to communicate that which needs to be understood. The triptych was created only a few years after the conclusion of the Thirty Years War (1618-1648) between the Protestants and the Catholics, a war in which almost all of Germany had been devastated. During this War, Württemberg suffered more than any other German state. By the time of the Peace of Westphalia in 1648, most villages and cities in the German southwest had suffered greatly from the battles, the pillaging of the armies of both sides, and from the quartering troops. Historians estimate that the Duchy of Württemberg alone had lost almost two thirds of its population from the fighting, hunger, disease, murder and pillage. In 1618 Württemberg had 350,000 inhabitants; in 1648 just 120,000 were left. In such a situation, I would expect that most of the men would have died. Thus, by 1648, Württemberg had become a principality composed mostly of widows and orphans! The Bad Teinach triptych (see photo on the right) is located in an elegant cabinet that reflects the ornate artistic style of the time. The pillars on each side of the triptych are typically Baroque in style; each pillar is wrapped in a spiral motif consisting of seven bands. The Hebrew writing at the very pinnacle of the case is the Tetragrammaton. The line of Hebrew characters just above the panel doors is a quotation from the Book of Psalms, Chapter 37, Verse 4 as follows: "Delight thyself also in the Lord; and He shall give thee the desires of thine heart." 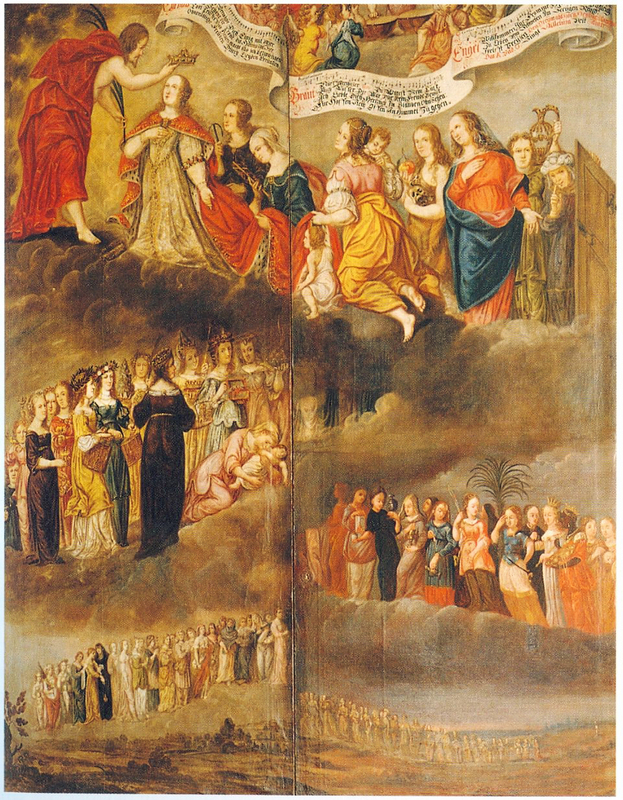 The Lehrtafel, with the panels closed, depicts a group of 94 women who ascend their way up into Heaven in five stages. Many of these women can be identified as specific characters from the Bible. At the very higest stage, Jesus himself is shown greeting the women and placing bridal crowns upon their heads. The first woman to receive a crown as "the Bride of Christ" is Princess Antonia herself! Her face is recognizable from her image that appears on one of her brooches. German scholars have indicated that she symbolizes the Soul and the Shulamith from the the Biblical "Song of Songs.” These same scholars indicate that at least 77 of the other women may be identified as figures from either the Old or New Testament. Why are there just women and no men? In my opinion, it is because this work is not only a mnemonic device to aid in recalling Biblical characters and stories; it is also a War Memorial to all the brave women of Württemberg who suffered so greatly during the Thirty Years War. Because of the death of most of the men, a whole post-War generation of women were forced to live their lives as spinsters. If they couldn't be real brides, at least they could become the mystical brides of Christ! auch außer dir war mir kein Freud' bewußt. DAS A UND DAS O, singt HALLELUJA mit AMEN!" Take, Beautiful, the crown, the heavenly adornment. gained infinite joy through suffering. with exception of you I noticed no joy. for hope is open, to go to heaven. THE A AND THE O, sing ALLELUIA with AMEN! " As a Lehrtafel, a major purpose of this triptych is to serve as a highly complex mnemonic device to aid one's memory in recalling Biblical characters and stories; however, as this website will hopefully establish, this painting is capable of communicating messages of a much more significant nature. For the most part, it has been the center panel of the triptych that has been the primary object of study by art historians and occultists. However, I find the side panels also to be of great interest; each panel depicts a scene from the life of Jesus and Moses respectively; both are scenes involving Egypt. Overall, the triptych seems to be attempting to visually communicate a pathway to higher consciousness that may be taken by a properly initiated individual. Many of the symbols used in the center panel appear to be only slightly disguised Masonic and/or Rosicrucian in nature. There are also a number of kabbalistic features as well. This introduction will not analyze the kabbalistic symbolism, that aspect of the triptych is discussed in a separate article. Though dated to the mid-17th century, the work is reputed to be a creation by members of the esoteric brethren of the Rosy Cross who were religious and philosophical advisors to the Princess. It is probable that the painting was never intended to be shown except to a small group of Rosicrucian initiates who were familiar with its symbolism. Rosicrucianism and its fellow-traveler, Freemasonry, are discussed in this article. Left Panel: the Left panel depicts a scene from the New Testament concerning the nighttime flight to Egypt by the Holy Family. Under a full moon, Mary and the baby Jesus ride on a donkey while Joseph walks beside them carrying a lantern. Over his left shoulder, Joseph carries a long handle with what appears to be a saw at the other end. Joseph and the donkey seem to be stepping out onto some wooden planking; perhaps they are starting to cross a bridge. Right Panel: the Right panel depicts a scene from the Old Testament; Pharaoh's daughter, Bithiah, and her entourage find the baby Moses in the bulrushes alongside the Nile in Egypt. In the distance, Moses' older sister, Miriam watches anxiously. A dark, Moorish-like figure is shown standing just behind the left shoulder of Pharaoh's daughter. The figure seems to be pointing out the location of the infant Moses. I believe that this person may be intended to represent al-Khidr (means the "Green One" in Arabic), who is described in the Koran as the spiritual advisor and teacher of Moses. The ancient Greeks would call such an entity a daemon; a good example would be the "daemon of Socrates." The Koran, at Surah 18, verses 60-82, describes this person although not by name. In all, the Koran cites Moses (Musa) a total of 522 times, more than any other prophet. Princess Antonia, stands at the entrance to a garden. The crucified Christ stands upon a rock surrounded by the twelve sons of Jacob, each of the sons stands by a different type of animal and tree. 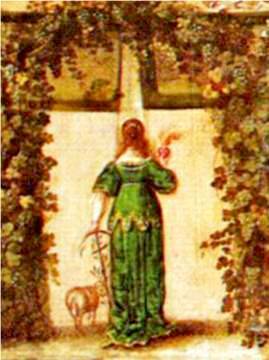 The Center panel depicts the initiate, Princess Antonia, standing at the entrance to a white and red rosebush enclosed garden; in her right hand she carries a flaming heart (Sacred Heart) and in her left hand she holds a staff shaped like an anchor with a cross. The anchored cross is a chrismon symbolizing the steadfast faithfulness of God. Walking beside her is a lamb (symbolizing Christ). In the center of the garden stands the figure of the crucified and resurrected Christ; he stands upon a rock holding the Cross in his left hand while pointing upwards with three fingers of his right hand. From a wound in his side there flows a stream of blood forming a pool at the centre of the circle. Around him, the garden is divided into three rings of twelve flower beds, each bearing their own particular type of plants. Twelve figures are shown standing around the circumference of the inner ring (which is irrigated from the pool of the Christ's Blood). German scholars have indicated that the 12 human figures represent the 12 sons of Jacob (also known as "Israel"); beside each figure is an animal and a tree of a particular type. The twelve human figures and the associated tree with each, are as follows, counting clockwise from the figure just to the right of Christ: Gad - Laurel; Reuben - Cypress; Simeon - Willow; Issachar - Fig; Judah - Cedar; Zebulun - Fir; Asher - Olive; Dan - Apple; Naphtali - Pomegranate; Benjamin - Almond; Joseph - Palm; and Levi - Oak. There is one additional treelike plant growing just outside the garden, depicted on the left side of the painting - it is a giant Agave, also called a century plant (see photo at the right). This plant produces flowers no more frequently than once a year and usually lives for a very long time - hence its alternate name of "century plant." In the usual Christian parlance, the plant symbolizes penitence and suffering. Professor Otto Betz (1917-2005) considered it to be the most striking plant depicted in the entire Lehrtafel! According to the legend prevalent in 17th century Germany, the plant would only produce flowers once in its usually long life. There was a magnificent agave plant at the royal court in Stuttgart. It is said that the plant produced its first and last flowers exactly at the time that work on the Lehrtafel commenced. The poet, Johann Schmidlin (1626-1692), dedicated a long Latin poem to the plant, saying in his poem that he had "meditated" for 40 years about the flowering of the Agave. He spoke of a contest between the goddess Flora, whose work was to bring about the flowering of the Agave, and the Princess Antonia, whose work was the creation of the Lehrtafel. Antonia had won the contest because her work of art was "painted for eternity" compared to the transient flowering of the Agave. However, Flora had been able to achieve for her Agave in the painting, with the help of the Princess, something she was not able to provide in real life: By integrating this plant within the Lehrtafel painting, the plant would now bloom and be green forever. At the far end of the garden, a huge onion-domed Temple of Solomon looms in the background while numerous angelic figures fly around the dome. Atop the dome, a great crown sits upon a strange and complex symbol. The area between the two large serpentine pillars and the the inner "Santum Sanctorum" or "Holy of Holies" of the Temple constitute what I call the "heart" of the Lehrtafel. All the lines of convergence within the center panel cause the eye to focus upon this portion of the triptych. A discussion of that portion follows. If there was any doubt that Freemasonry was alive and well in mid-seventeenth century Germany, the scene on the right should completely remove any such doubt. 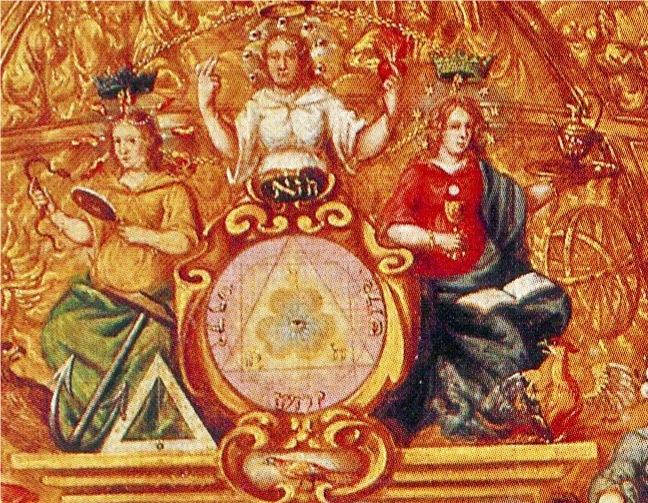 This scene contains several symbols that pertain to both Freemasonry and alchemy. The two free-standing columns placed at the entrance to the "Holy of Holies" are decorated by spiral motifs that progress upward in seven stages. The spirals suggest the movement of a serpent as it climbs up a staff or a pole. The symbol of a snake coiled around a staff is an ancient representation of the transformation of consciousness. The staff represents the spinal column, while the snake symbolizes the energy channels. The snake usually is shown with seven coils, symbolizing the Hermetic or Neoplatonic octave of psychological transmutation. The very top of each pillar is crowned by several layers of rose petals - this may be an allusion to the Rosicrucian Order to which several of Princess Antonia's advisors may have belonged. 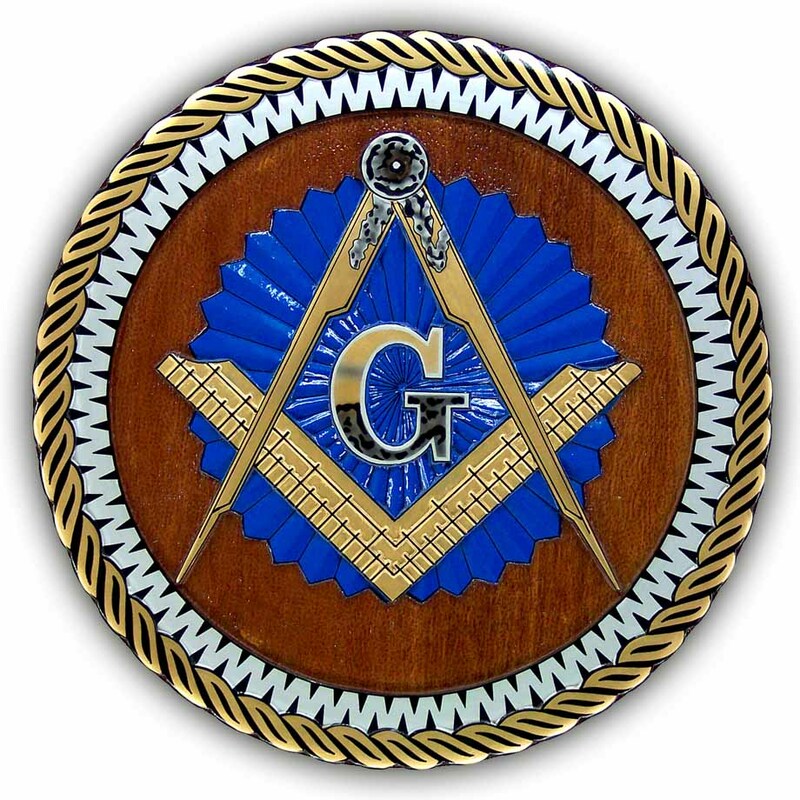 Key elements contained in every Masonic lodge in the world are: the "Boaz" and "Jachin" pillars; the tessellated floor; and the Masonic Symbol (Compass overlaying a Square with a letter "G" in the middle). The "G" is an allusion to the "G" described in the Masonic legend of Hiram Abiff. This oil painting was completed in 1789 by an artist named Ignaz Unterberger. 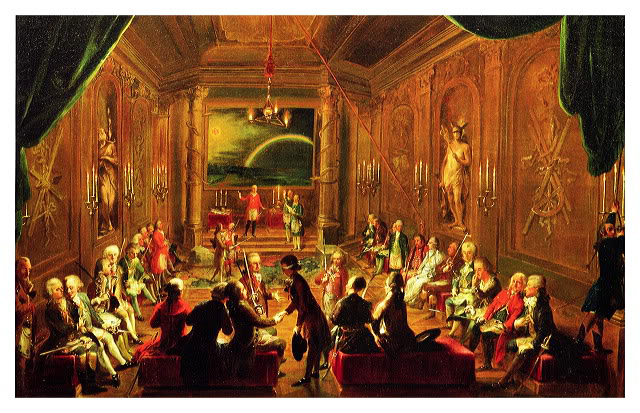 The painting shows the inside of what is thought to be the Crowned Hope Masonic Lodge in Vienna. Wolfgang Amadeus Mozart (1756-1791) is depicted sitting on the couch in the lower right corner of the picture. Note the two serpentine columns at the rear of the room - the "Boaz" and "Jachin" pillars. This is a photo of the main meeting room at the AMORC Rosicrucian Temple in San Jose, California. Rosicrucian temples are frequently designed in a manner similar to the Masonic lodges. The principal difference is that the Rosicrucian structures tend to more closely emulate artistic motifs found in ancient Egyptian temples of the Pharaonic Era. 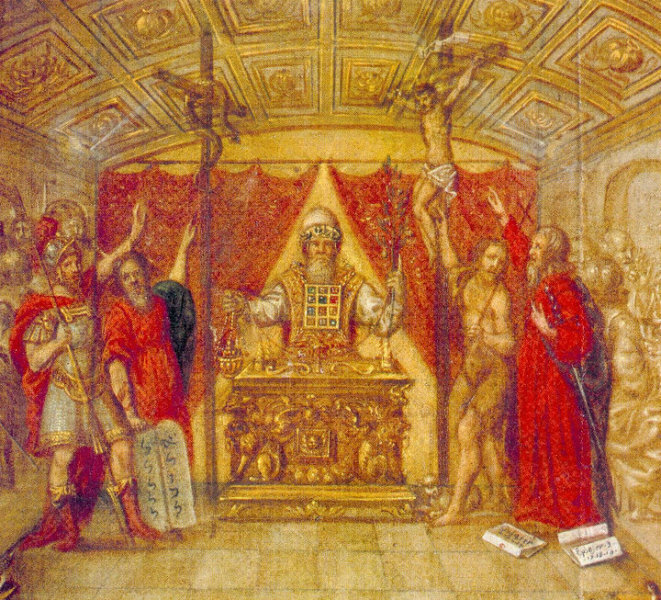 The scene depicted in the "Holy of Holies" of the temple involves another juxtaposition of the Moses and Christ themes, but this time it involves two crucifixions. The crucified serpent is a fairly common alchemical symbol, derived from the story of Moses and the Brazen Serpent; it is cited in the Old Testament at Numbers, Chapter 21, Verses 4-9. In alchemy, a crucified serpent symbolizes the removal of the volatile part of a substance - usually mercury. At the psychological level it typically means a "refinement of the spirit." The figures standing in the Sanctuary have been identified by Otto Betz as follows: the red cloaked soldier standing on the left-hand side of the picture next to Moses has been identified as Joshua the Flag Bearer; the bearded figure standing beside John the Baptist on the right-hand side of the picture, is Saint Paul; and the priest officiating at the alter is the brother of Moses, Aaron, who was given that function according to the Old Testament. The basic message conveyed by these two crucifixions is quite clear. Just as an Israelite who had been bitten by a viper could be purified from the effect of the venom simply by gazing upon the brazen serpent on the pole, so could a sinner who was poisoned by his own sins have them purified or washed away by the blood of the Crucified Christ. The mid-dome portion of the Temple of Solomon contains a representation of the Holy Trinity - Father, Son and Holy Spirit. Just below the Trinity is a strange symbol. This symbol is a composite of a circle containing a square; the square contains a triangle; the triangle contains an image of a clover within which is the image of an eye. 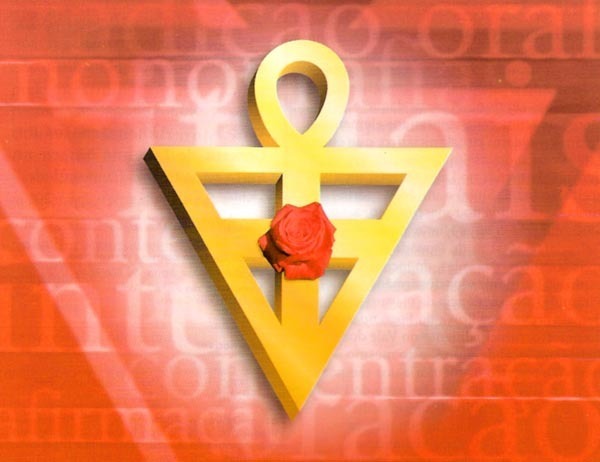 This may be a disguised Rosicrucian symbol. 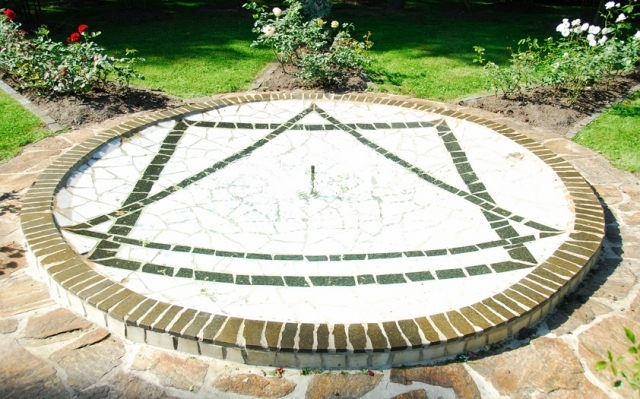 The image of a rose within a triangle is a symbol frequently used by many Rosicrucian societies. Also, the use of a circle containing a square which contains a triangle is a symbol occasionally used by certain German Rosicrucian groups. Also, depictions of an eye within a triangle or an eye within a pyramid are frequently used Masonic symbols. The dome of the Temple is capped by a crown, which is suspended above a strange and enigmatic symbol (see image at the left above). The large golden crown hovers protectively over this meaningful symbol and contains Hebrew letters which say: "He is" - "the Almighty" - and "He has given." 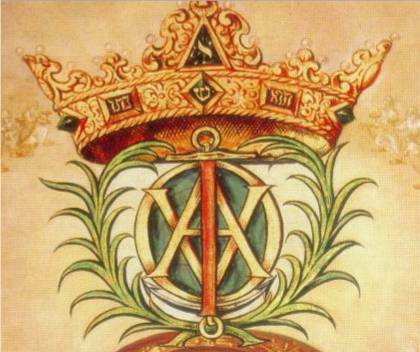 The symbol below the crown may be an only slightly disguised Masonic symbol. The letter "O" is overlaid by an upside-down letter "A" which is overlaid by another letter "A" and all three letters are overlaid by a large "T" Square. 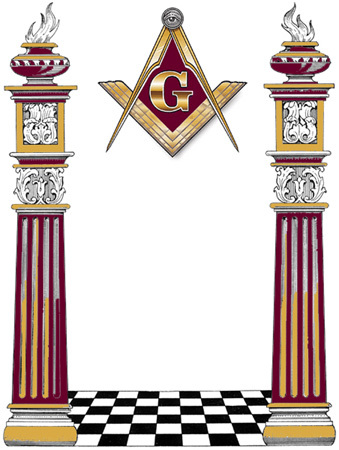 Compare this symbol with the standard symbol of Freemasonry (see image at the right above); it is reasonable to conclude that, although disguised, a Masonic connection is being suggested. 1) Adam McLean, "The Kabbalistic-Alchemical Altarpiece in Bad Teinach" - Hermetic Journal, Number 12, Summer 1981, pages 21-26. 2) Anne Frommann, "Lehrtafeln" (2005) - Online Article. 3) Otto Betz, Licht vom unerschaffnen Lichte. Die kabbalistische Lehrtafel der Prinzessin Antonia in Bad Teinach (1996). 4) Ernst Harnischfeger, Mystik im Barock : Das Weltbild der Teinacher Lehrtafel (1980). 5) Eva Johanna Schauer, "Jüdische Kabbala und christlicher Glaube - Die Lehrtafel der Prinzessin Antonia zu Württemberg in Bad Teinach" (2001) - Online Article. All Rights Reserved. Published in the United States of America. Essays provided at this web site, may be reproduced for nonprofit personal or educational use only. Photos used at this site were taken or adapted from photos posted with the Wikipedia articles re Eberhard III, Princess Antonia and Johannes Valentinus Andreae; or from the books by Otto Betz: Lich vom unerschaffnen Lichte: Die kabbalistische Lehrtafel der Prinzessin Antonia in Bad Teinach and Ernst Harnischfeger: Mystik im Barock: Das Weltbild der Teinacher Lehrtafel. Commercial use of any of these materials is a violation of United States copyright laws and is strictly prohibited.